Abyss Odyssey starts you in a town beset by monsters created from a warlock's nightmare. You have to work your way down through the randomly generated labyrinth to confront the Warlock and end the nightmare. Each floor will be marked as easy, moderate or hard, and will have different terrain, traps and monsters each time you enter. 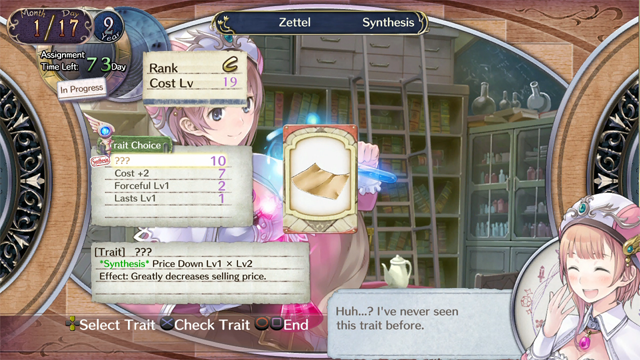 Eventually three starting towns open up, and there are some floors that allow you to switch paths down to the boss. The procedurally generated dungeon works really well, and I had little trouble with the platforming. The only complaint about the random nature of the game is the "?" floors. They have a fight where you control a monster and fight others. If you win, you get a monster soul on the next floor. Unfortunately, the game likes to put the soul on the screen, but not necessarily somewhere you can get it. It is frequently in the wall, floor, or in the air so high you can't reach it. Ugh. The game also does a decent job of explaining the controls, but not much else, like the different shrines, skills and equipment. Besides platforming, you will also be fighting. 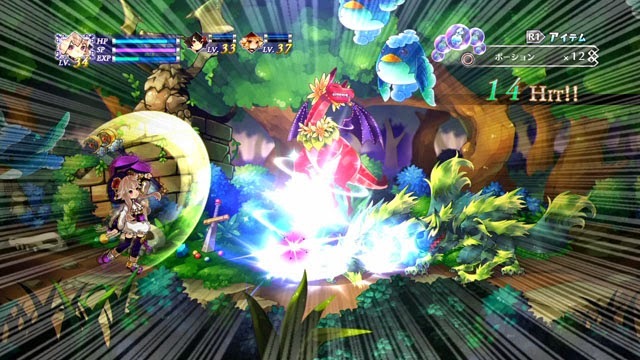 The game does tout itself as a hybrid adventure/fighting game. Unfortunately, fights can be very frustrating. While they have a few basics of fighting games, the game doesn't feel like one. Fights are fast paced, but movement and attacking are stiff and awkward. Special moves and combos can be cancelled by another special move or a dash. The former requires a skill point and can be useful, but the latter isn't really that helpful. The combo moves themselves seem slow. They cap out at three normal attacks, and you can't really mix them up with up and crouching attacks, making them feel really limited. You can block and dodge, but it never seems as useful as the enemies' versions, since they can miracle dodge any attack they want. Up to three special moves can be equipped at a time, but you can learn more than that for each character. Every three levels you will also earn a skill point that can be assigned to a special move to increase various parameters of it, like attack and mana gain, or to increase the number of attack cancels you can do in a combo. The points put into skills can be freely taken back and reassigned, but he points spent on upgrading the cancels cannot be. Special moves are done more like Smash Bros than a traditional fighting game, with pressing a button and a direction instead of a sweeping controller motion. The moves are nice for more damage, but like the combo attacks, can easily be dodged by the computer. Projectiles especially are privy to this, as the computer has a psychic sense about when to dodge them. At first I thought this rendered them worthless, but I eventually realized that I could use that to my advantage. Throw a fireball when they are dodge distance away, they will dodge to me, and I can then use a stronger move that they can't dodge (since they are recovering from the previous one). It worked really well and allowed me to stomp the final boss. So while the AI is cheap, it can be exploited, too. Under the health, there is a mana bar. When full, you can unleash a powerful spell. Damaging or killing an enemy with this attack may have them drop their soul. Picking it up will allow you to transform into that monster, gaining their health and attacks. While this is one of the touted features of the game, it doesn't happen as often as I would think. Plus, picking one up just allows you to use it. It would have been awesome if there was some way to unlock the monsters and start out a dungeon dive with one equipped, but sadly that is not a feature of the game. Playing as a monster can be really fun, as some of them are absurdly powerful or useful. It also gives you another health bar, which helps you stay alive. All monsters are not created equal, however, so that powerful one that continuously defeats you might not be so good when it's you that's controlling it. Some that seem silly (like an ice bull) might be surprisingly good at destroying enemies, though. When you die, since that's part of the game, you will control a normal soldier where you fell. You basically get a second life, and making it back to a special shrine will restore you to your chosen character. The soldier's moveset and equipment are not as good as the normal characters', so the sooner you find a random shrine, the better. However, not all shrines will work. You have to find the right one, so you better hope the random number generator is on your side. It's nice that there's an opportunity to restore your life and keep your equipment and keys. While not the best solution, changing to the soldier has saved me on numerous occasions. Dying as the soldier will return you to the surface and let you change characters and starting points, if they are unlocked. It's also possible to return to a designated shrine, if you purchased and used a camp token. Unfortunately, shops don't always sell one, and deciding the best time to use one might be difficult. I never had one the times I would have liked to use it. When you return to the surface, you will keep your money and experience, but lose everything else. No more stronger weapons, no more useful equips, no more monster soul. Because of this, it's better to not spend much, if any, money on the weapons and accessories sold by the shops. Since monster souls are useful and hard to come by, those can be worthwhile purchases. If you are lucky, a run through the dungeon might take about an hour, especially when you are starting out. Subsequent trips can be faster, depending on how often you jump around to the different routes. There's also three different characters to unlock and use. Since each floor is randomly generated, no two trips through the labyrinth will be the same, giving the game lots of replayability. The final boss is even gets stronger the more times players defeat him. There's even a co-op mode, but I don't recommend it at all. Not only can you hit your partner, but you also do damage to them, making this mode almost completely useless. This decisions seems strange, since enemies frequently outnumber you and help would be appreciated. Plus, enemies don't damage each other when they collide, so why do the players? The trophies for the game aren't too bad at all. There's only one for completion, and the rest are for doing other feats. There are optional bosses and fights that will grant trophies, and unlocking one of the characters also gives one. The longest trophies are getting 3 full skills (each has three upgrade points) for each character, which means they will have to be over level 25 or have found some skill tokens along the way. Abyss Odyssey has a good premise. It looks unique and plays...well, unique, but in a not so good way. Fighting is stiff. The AI can be downright cheap with their dodges, constantly blocking and juggling you to death. The co-op is bad, and if you win a monster soul in a special battle, it might not put it where you can reach it. The game does have a lot of replayability, though, and can be fun to pick up and play for an hour or two at a time. It's not perfect, but there is some fun to be had. I've played the PS4 version by now, which was supposed to have a few changes. The fighting system was supposedly altered, but I didn't notice any differences, and it still felt clunky. 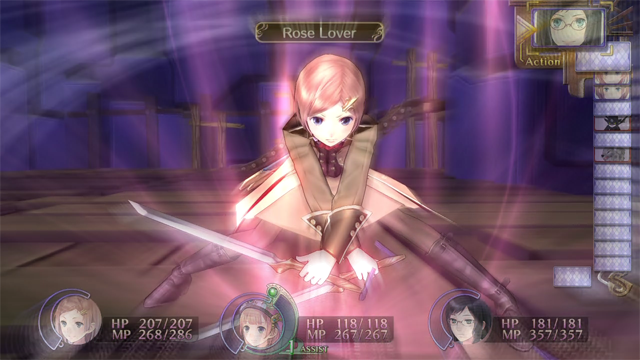 The versus mode from the PC version is also present. An online co-op mode has also been added, but I didn't have any luck in finding games to try out how it plays. Also, you can disable the friendly fire (yay! ), but it won't really count for leaderboards or the warlock's mask challenges (boo). So, that fixes one problem with the game, even if they try to punish you for doing so. After being available on the PC for over half a year, Blood of the Werewolf has brought its blistering platforming to the Xbox Live Arcade. The game stars Selena, nowone of two surviving werewolves, who sets out to get her son back and get revenge on those that stole him and murdered her husband. Going along with the werewolf theme, many of the enemies you fight are from older horror movies. Vampires, skeletons, bats and mutants are some of the fodder you run across while seeking Selena's son Marko. The bosses are also modeled after such classic monsters as Dracula and Mr. Hyde. The characters, music and look of the game fit very well together, and are really neat for fans of old B-grade horror films. Even the voice acting of the main character is done really well. The only part I'm not too happy with is the lack of subtitles for the cut-scenes. The volume always seemed low for those especially, and it can be almost impossible to hear over children running around. Selena, as the werewolf matron, splits her time in the game between human and wolf forms. The human form has a crossbow for distance attacks at any angle, while the werewolf has a double jump and stronger attacks. Controlling either character is fairly easy and the controls are responsive and tight. They need to be for all the precise platforming you have to do as you make your way through the game. The story follows the pattern of two stages followed by a boss fight. At various points through each stage (and sometimes the boss), you will switch between Selena's human and werewolf sides. It's a great and really unique aspect of the game. I like the dual gameplay of using each form for different combat and platforming challenges. And boy, are there plenty of challenges. The game takes many cues from old-school platforming games. There's a lot of hazards just off the screen, so when you run or jump forward, you get hit. I didn't find many of those parts that would knock me into a pit, but a few that would do so for spikes, which basically amounts to the same thing. It is less about reaction and more about memorization. Some jumping sections have lots of dodging while you make your way through, which would, however, test both. Like older games, a lot of perseverance will make up for any other shortcomings you have, and several times my heart was pounding when I finished a tough section. There were frequent checkpoints, and deaths would only waste your stage completion time, so it was much less frustrating than it could have been. Plus, I found the bosses to be pretty easy. I would get hit a fair amount, but I never actually died on any of them. The main game consists of ten stages and five bosses. A first run through a stage might run about 10-30 minutes, depending on how many times you die. Bosses are shorter, simply because there is no stage beforehand, just the boss fight. Total time for me through the story was about 4-5 hours. In addition to that, you can play each completed stage in Score Attack, where you grab gems and kill enemies for points. There's even an Endless mode, where rooms are procedurally generated (randomly strung together from a large list). These are rooms created especially for this mode, so knowledge of the normal stages won't help you here. Both of the extra modes are good ways to test your skills, and I'd say you can easily get your money's worth if you at least beat the story. All achievements in Blood of the Werewolf are for completing quests, and you get one for every five or ten quests that you do. The quests are for pretty much doing everything in the game- finishing levels, getting good ranks, beating bosses, stages and scores in score attack, getting collectibles, etc. Some aren't too hard, like surviving one room in endless mode or getting 25% of the sigils, but some are very difficult, like completing each stage quick enough to get the S rank. If you are a perfectionist, getting all the quests in the game (and hence all the achievements) will keep you busy for many hours. The game has a great vibe, but the difficulty was frequently frustrating. The bosses seemed almost too easy while the stages could be downright brutal. Fans of old-school platforming games should definitely check it out, as the difficulty will make them feel right at home.